Nick Diaz weighed in on the Woodley-Till fight that went down this past weekend. In his estimation, it seems he thought Woodley took an easy fight in the form of Darren Till. It certainly ended up a one-sided bout, with Till landing barely a strike before succumbing to ground-and-pound and a Woodley choke in the second round. 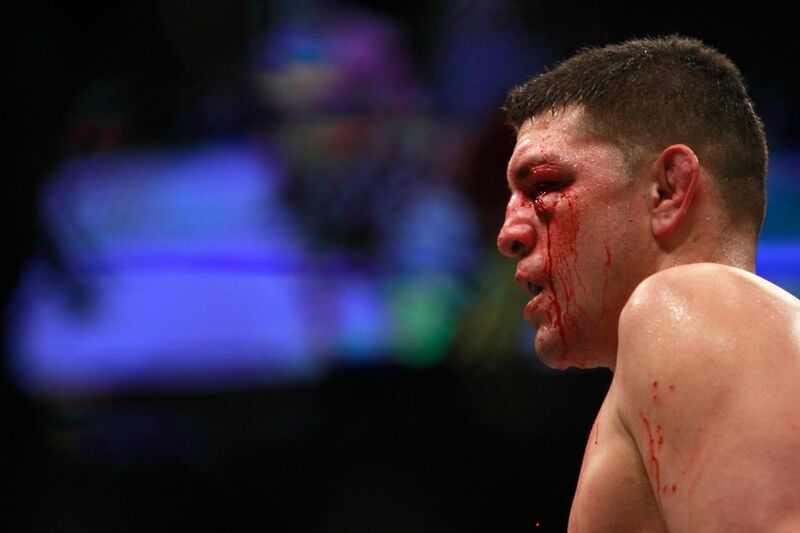 Nick Diaz hasn’t had a fight since his 2015 middleweight bout with Anderson Silva. He hasn’t had a win in the Octagon since 2011. Could we see the former Strikeforce welterweight champion make his return to MMA in the near future? He was recently cleared of a domestic violence charge, and has stated plans to return in 2019 after being serving a trumped-up suspension for weed use. Sorry, Wonderboy. Despite the draw and majority decision, no one wants to see this a third time. Despite the recent drama between Donald Cerrone and Team Jackson-Winkeljohn, Greg Jackson will be cornering Donald Cerrone when he faces Mike Perry in Denver. Karolina Kowalkiewicz issued a statement to her fans after her knockout loss to nigh-unstoppable strawweight force Jessica Andrade. Nicco Montano, naturally, was not at all happy with the UFC or Shevchenko after her belt was summarily stripped from her this weekend. here’s every ufc champ that took longer than 280 days between title fights and didn’t get stripped. Since Nicco was stripped of the title, in her next fight, her fight week incentive pay (formerly known as Reebok pay), will go from 40k to 3.5k. Darren Till is already planning his comeback. Also, he doesn’t like Snoop Dogg. This is a very weird Texas rule I didn’t know about. A remnant of Steve Nelson’s Unified Shoot Wrestling Federation which got the state to allow for MMA by promoting it under pro wrestling rules. What a head kick KO by Block Nili ! This was some knockout! The spinning elbow trumped the spinning backfist. I saw this guy the other day. When I asked him “what the hell” he said “I was working on a secret project and I wanted to blend in” and left it at that. Erstwhile UFC star Nick Diaz was supposed to be returning to the Octagon, but after dealing with some USADA nonsense, a female acquaintance went nuclear and had him arrested on accusations of domestic violence. And of course, nothing derails a comeback like ugly domestic violence charges. But a friend of Diaz chimed in that the charges were crap, and finally, the judge and the presiding district attorney have agreed. Diaz is a free man. The Clark County (Nev.) District Attorney declined to pursue the case against Diaz, the popular UFC fighter, on Thursday morning, according to Diaz’s attorney Ross Goodman. The judge in Las Vegas Justice Court dismissed the case with prejudice, meaning it was dismissed permanently. Diaz was facing three felony charges, including two counts of domestic battery by strangulation and one for domestic battery with substantial bodily harm. In addition, he was facing a domestic battery misdemeanor charge stemming from a May incident. Last month, a grand jury ruled not to indict Diaz on any of the charges, but the DA decided to move forward with the case until now. “We are grateful that the District Attorney’s office was fair and thoughtful in reviewing this case based on the evidence and making the decision to dismiss this matter particularly in light of the Grand Jury’s decision finding probable cause was lacking,” Goodman said in a statement. Diaz took to social media to thank those who stood by him. 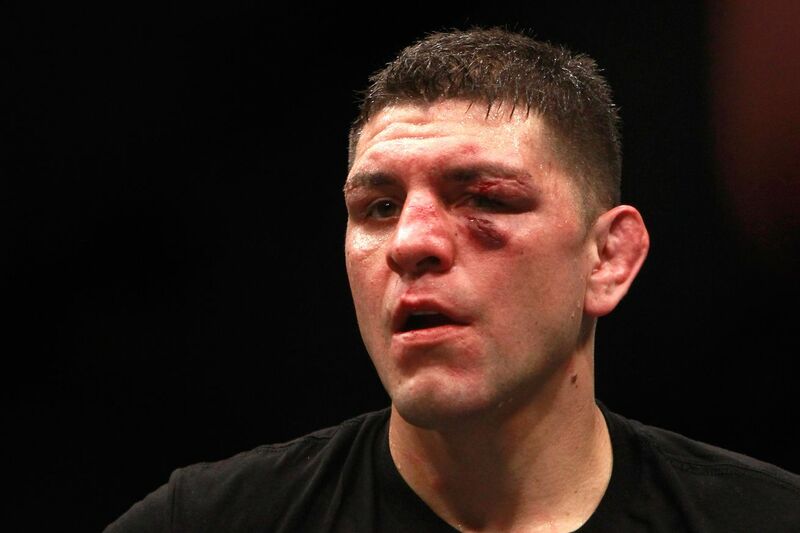 The post Nick Diaz’s Domestic Violence Legal Woes Are Over appeared first on Caged Insider.